We all have memories that we want to hold on to; whether they’re old photographs or small souvenirs. It’s unthinkable to get rid of these things, even if they’re from years ago. But the problem with keeping these items is that when they’re tucked away in a box in storage, it’s unlikely that you’ll ever even look at them. Scrapbooking is a popular past-time that solves this common problem; it involves preserving these mementos by adding them to an album. Scrapbooks can include photographs, artwork, and other mementos such as ticket stubs, postcards, or notes. Often, written memories accompany the photographs on the pages of a scrapbooking album. Scrapbook is a fun and practical hobby that can help you to create keepsakes that last forever and can be shared with family and friends. If you want to try scrapbooking, you probably already have the memories that will feature in your albums. If you have boxes of old family photographs and keepsakes from trips lying around your house, then you have the material for a scrapbook. The difficult part is sifting through and organizing these materials in a way that makes sense. For your first scrapbook, it’s a good idea to try to choose a theme. For instance, you might want to make a scrapbook of photographs from a particular vacation or trip. Or, you might choose a specific chronological period to feature in your scrapbook. It is recommended that you try to organize your photo collection before you start scrapbooking. That way, you won’t end up searching for photographs halfway through completion of your album. In order to make the process go smoothly, have all of the photographs you will potentially include organized and ready before you begin. Getting the tools and materials that you will need to create your first scrapbook can be utterly overwhelming. If you’ve ever taken a trip to your local craft or scrapbook store, you’ve probably been confronted with aisles and aisles of scrapbooking materials. But if you’re just getting started and don’t want to spend a huge amount on your new hobby, then you have to stick to the essentials. One thing that you will need is an album. Albums are usually available in a variety of different colors and patterns and can even be picked out to match your theme. Most are the 12 inches by 12 inches and fit standard sized card stock pages for scrapbooks. Try picking one out from the Pioneer Photo Albums En Vogue Frame Designer Scrapbooks series. Unless the scrapbook that you purchase comes with extra pages, you will need to purchase refill pages. In order to make sure that the refill pages match the size of the pages that are already in your album, bring your album along to a craft or scrapbooking store and compare. These Joann refills are an inexpensive option for adding extra pages to your book. You will also need some form of adhesive. You should try to choose something that is acid-free and will work with a variety of materials, including photographs and card paper. Something with adhesive on both sides, such as the 3L Click ‘n’ Stick Mounting Squares is recommended. Finally, every scrapbooker needs a good pair of scissors, a pack of patterned or plain-colored card stock, and journaling pens or markers. You can pick these items up at your local craft store; just make sure that you don’t go overboard. 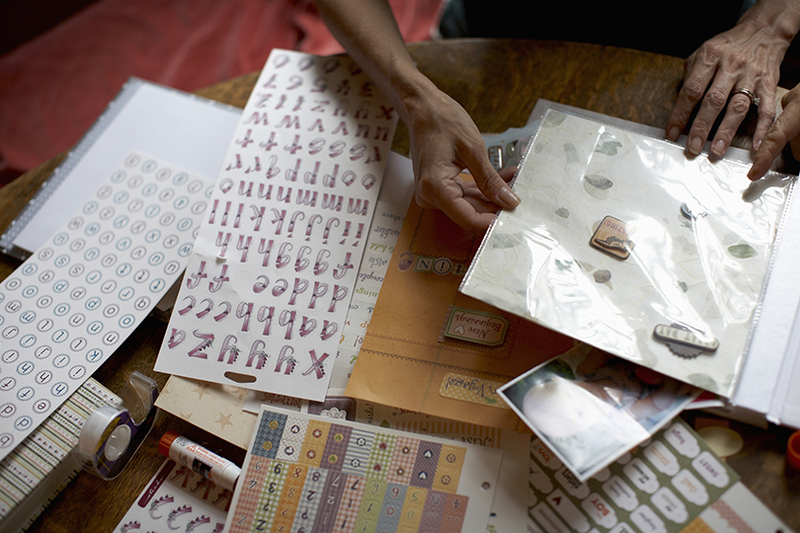 You can build up your collection of scrapbooking materials over time. The main benefit of scrapbooking is that it is a practical way to store your memories. Most people thoroughly enjoy reliving old memories when they are laid out in a nice way. When you make a scrapbook, you are putting in time to preserve your family history and keep memories alive. Instead of collecting old boxes of photographs that will only gather dust, you can display those mementos proudly for everyone to see. A scrapbook also makes a great gift for a loved one if you have shared memories. The process of making a scrapbook is also a soothing process. Scrapbooking is a therapeutic way to come to terms with the loss of a loved one or a rough patch. For instance, many people who recover from chronic illnesses make scrapbooks that help them to process what they went through. For those who have lost loved ones, making a scrapbook is a positive way to remember that person and enjoy times shared instead of focusing on loss. 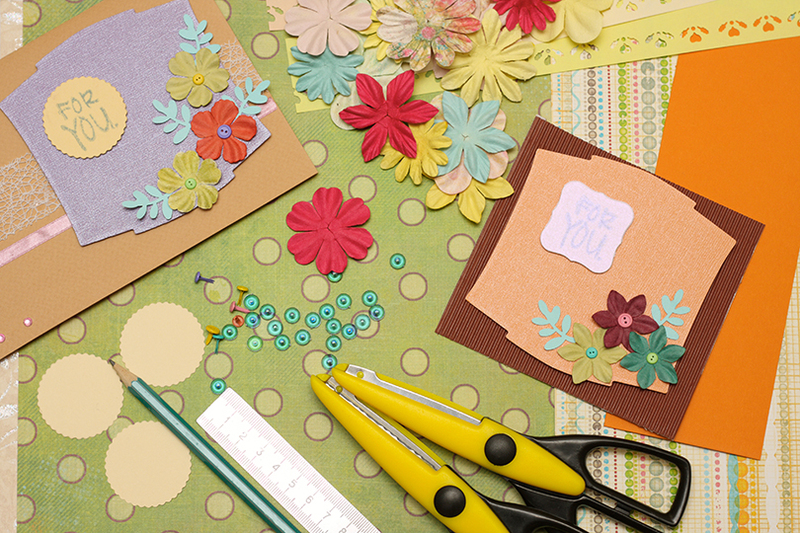 Scrapbooking can help to relieve day-to-day stress by helping you to focus your attention on something else. It is also a great way to express your creativity or artistic urges.